On Tuesday, the National Labor Relations Board ruled 3-1 that graduate students at private universities working as research or teaching assistants qualify as employees, and as such have the right to unionize. 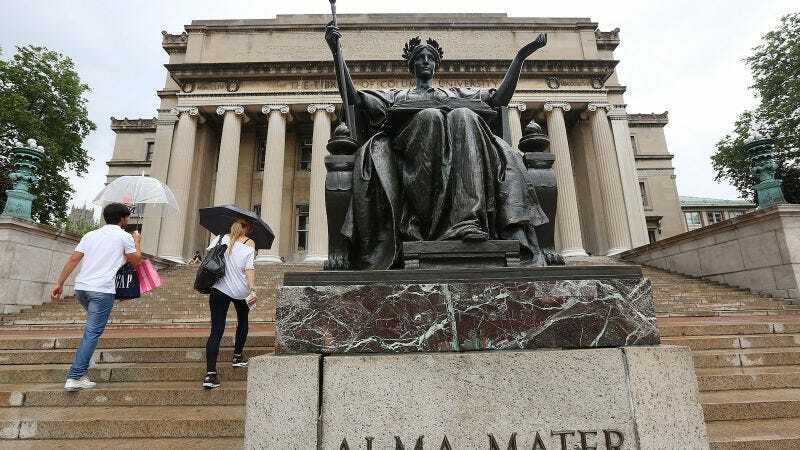 Columbia University, which opposes the decision, has responded with a well-designed and quietly fear-mongering website, ostensibly intended to edify and inform students about “the potential benefits and drawbacks of having their interests represented by the United Auto Workers (UAW),” the union that joined the Graduate Workers of Columbia-GWC in its petition to the NLRB. While we are reviewing the ruling, Columbia — along with many of our peer institutions — disagrees with this outcome because we believe the academic relationship students have with faculty members and departments as part of their studies is not the same as between employer and employee. First and foremost, students serving as research or teaching assistants come to Columbia to gain knowledge and expertise, and we believe there are legitimate concerns about the impact of involving a non-academic third-party in this scholarly training. Provost John Coatsworth reiterated this sentiment in an email to the Columbia “community” on Wednesday. “For my part—and, in this, I speak for my colleagues in the University administration and for many faculty members—I am concerned about the impact of having a non-academic third-party involved in the highly individualized and varied contexts in which faculty teach and train students in their departments, classrooms, and laboratories,” he wrote. And yet the provost’s anti-unionization website does not contain very much specific information about why those concerns, or the potential drawbacks for student workers of being represented by UAW, beyond the usual issues of having to “pay dues” and potentially being fined for not participating in a strike. Neither Columbia nor UAW immediately responded to a request for comment from Jezebel. The Brown University Board held that graduate assistants cannot be statutory employees because they “are primarily students and have a primarily educational, not economic, relationship with their university.” We disagree. The Board has the statutory authority to treat student assistants as statutory employees, where they perform work, at the direction of the university, for which they are compensated. Statutory coverage is permitted by virtue of an employment relationship; it is not foreclosed by the existence of some other, additional relationship that the Act does not reach. Graduate student workers at Yale, at least, do not seem overly concerned with this possibility.